Vivo NEX with its pop-up selfie camera kick-started the bezel-less, notch-less trend, but users had been wary about mechanical moving parts. Well, Vivo is now looking to totally eliminate the same by following Nubia’s lead and including two screens on the Vivo NEX successor. The leaks for Vivo NEX 2, as the device is being referred to, started flooding the Internet last week, so the Chinese giant has decided to kill the anticipation by teasing the device through their official handle on Weibo. Vivo has uploaded three GIFs, showing off the much-rumored dual screen setup, triple cameras on the rear, and the lunar ring, which is said to surround the circular Moto-like camera module. If you take a close look, you will see the front display warp into the second display on the rear – with the camera module cutting through the rear display. In the other two GIFs, you can see the black orb transform into 3 cameras in the first one and the RGB lunar ring that will surround the rear camera module and could come in handy to relay notifications in the second one. There’s no selfie camera on board here but the rear display, coupled with the triple rear-camera, solves that problem. 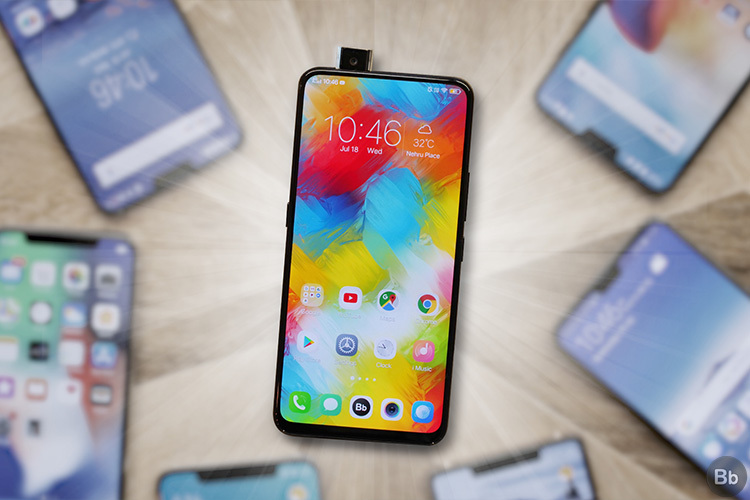 Further, if you’ve been keeping up with the leaks, the teasers go on to confirm that the mystery device shown off by popular YouTube creator MrWhoseTheBoss is the Vivo NEX successor. Though the device is placed inside a black box and doesn’t show off the NEX successor in its entirety, you can get a brief look at the features in real-life. With these teasers, Vivo has only confirmed what the leaks had been showing off, but there’s no specs out just yet. There’s no official word on the launch date either, which could potentially be around MWC 2019, so stay tuned for more leaks and rumors. Until then, let us know your opinion on dual-display smartphones? Also, do tell us your expectations from the Vivo NEX 2 in the comments down below.